Editor’s note: The Bolingbrook Babbler occasionally features articles by its UK sister publication, The Manchester Mumbler. This week, we’re featuring a breaking story. The UK most prestigious organization of ghost cryptozoologists condemned Matt Moneymaker’s tweets against UK skeptic Hayley Stevens, age 25. The perceived condescension towards Stevens angered many in the society. 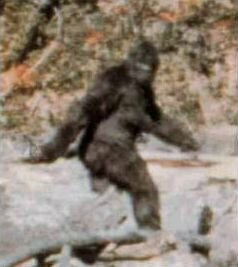 Others in the society noted that there is no firm agreement among ghost cryptozoologists on what a Sasquatch sounds like. Zell also praised Stevens for her paranormal investigative skills, noting how through she and her fellow investigators are. Moneymaker is on vacation, and could not be reached for comment. Phil Z. Anderson, of the Greater Manchester Paranormal Society, sided with Moneymaker. What the hell is a "ghost cryptozoologist"? A ghost who is a practicing cryptozoologist. Some ghosts don't want to spend their afterlives scaring mortals, so they take up hobbies, like cryptozoology.